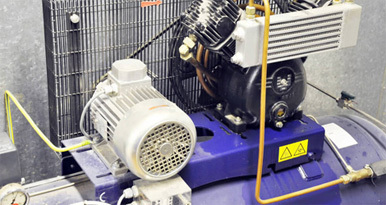 Is your air compressor in need of maintenance? We are a full-service air compressor company providing best-in-class air compressor preventative maintenance service to industrial clients. No matter which make and model your compressor is our technicians are capable of maintaining them all. Why You Need To Maintain Air Compressors? At Total Air Compressor Services, we are equipped with the tools and equipment to make your industrial air compressors work at peak performance. We are licensed and skilled to deliver scheduled preventative maintenance service and strive to make your business run reliably and at peak efficiency. Whether you have a small piston compressor or a more complex system with multiple screw compressors and air dryers, we have the skill and ability to provide any service that you need. With our NO OBLIGATION service plans, we work with you to keep your air compressor parts working at its best. Why sign a service contract that often offers no benefit to you? Our service plans are tailored to your needs. Our service areas include Toronto, Mississauga, Brampton, Vaughan, Richmond Hill, Bolton & Georgetown. In case, your business picks up or slows down, we adjust the on-site service to ensure your equipment isn’t being under-serviced or over serviced. Call To Schedule Air Compressor Maintenance!